This is what my life has come to – photographing wedding prep stuff and navigating the “household/home decor” corner of the internet instead of car parts. Honestly the last thing that is on my mind right now is my car… Occasionally I’ll think about it and it’ll immediately get kiboshed with the fact that we have other, more important expenses lol. What is the meaning of life!? 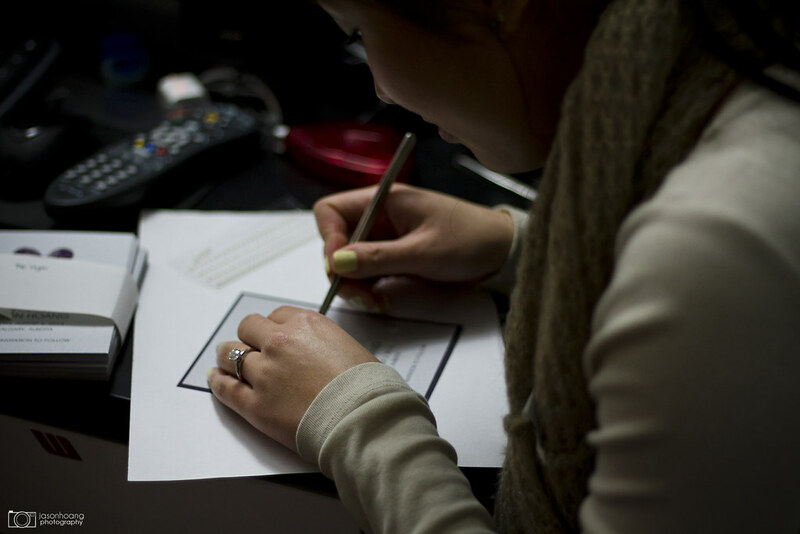 Diana putting some finishing touches on the cards. The envelopes. A nice little teaser. Our house is coming together nicely as well! First floor and garage is pretty much done for framing – the second floor should be done by next weekend. I’ll try to post some pics up when I have time.